I just had to tell you about the weekend emails I received for Pages for Children. The first email I received was on Friday. It was from a publishing organization telling me that they are going to be sending some books to us. I have no idea what kind or how many, nor does it matter. 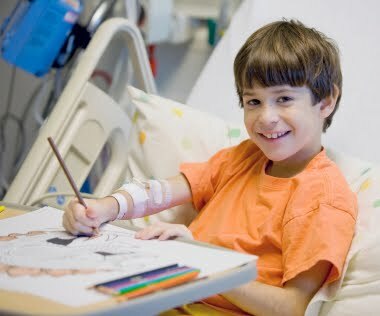 Al I think about is we will be able to mail to more hospitals and therefore more children. The other email really touched my heart. A nine year old junior girl scout wants to have a book drive and donate the books to Pages for Children. i'm not sure she has made up her mind wheither she will or not since we're not technically in her community but the thought alone really made me feel good. Come to find out, she's spent a lot of time in hospitals because of asthma, which I hated, but it placed her where she can understand what I'm trying to accomplish. Now before you think I may be selfish in my thinking, let me tell you that when I hear of a child wanting to help a nonprofit for whatever reason, it warms my heart. It's nice to see children get involved in helping others. Not only does it say something for the mindset of the child, but it shows the mindset of the parents. It shows that they have raised a loving, giving child and I commend them. Oh before I forget, one of our board of directors had her second child July 28. A boy named Nathan Lee Trucks. Please keep this family in your thoughts and prayers.